Isn't the legal drinking age 21 over in 'murrica? Barqs is a root beer--in fact, the only root beer known to have caffeine as one of its ingredients. Never heard of it. I don't know if we even have it over here. It may just be a stereotype, but non-Americans are pretty notorious for hating root beer. It's not very easy to find outside the states. Well I'll vouch for the veracity of what you say. My own unscientific survey amongst my peers when McDonalds briefly intoduced root beer over here in the early '90s was a resounding thumbs down. I don't know if the taste varies from type to type, but what they were selling frankly tasted like mouthwash. I'd sooner drink the hideous fizzy fir-needle syrup stuff that some people make in Romania (and that tastes like pine disinfectant smells, only sweet). DUDES ROOT BEER IS THE JAM!!!! For real though, its good. Yes, blonde beer is what I meant. Not something you want to taste IMHO. Assuming that my experience in McDonald's was representative - definitely better than root beer (and that's quite apart from the fact that root beer's a soft drink). Even a blonde lager is pretty good, but obviously just more malty sweetness, let yeasty variety of flavors. I had way too much hard liquor already when I started with the blonde beer, perhaps that was the reason, so I might give it another try while I'm still sober. But the blonde beer was warmish, I like my beer cold. Also, the taste was very strong. The first rule of drinking really good ales is you don't mix it with liquor. The second rule of drinking really good ales is you don't mix it with liquor. I'm very much tempted now to buy some blond beer. Is drinking it cold OK or do you suggest it to be just below room temperature. Before becoming a monk, and George Bush Sr, was president, I went to the annual Ukrainian festival in NYC for St. George's Ukrainian Catholic Church. I'm not a beer drinker, but they advertised a beer that was flown over from Ukraine, called Kievan Monastery Ale. It was the best beer I ever tasted, so much so I had 2 glasses and never had a hangover the next day. It was a one time deal and I have never seen it since. It was the best beer I ever tasted, so much so I had 2 glasses and never had a hangover the next day. It was a one time deal and I have never seen it since. That is the benefit of quality ales, they don't have the sloppy buzz of a lager beer and almost rarely if ever have a noticeable hang over. In fact, I drank some good Traditional Brown with my step-pops and he was chasing it with whiskey, and he commented on the morning that it actually TOOK away his usual whiskey and beer hangover compared to the Budwater he usually drinks! It was the best beer I ever tasted, so much so I had 2 glasses and never had a hangover the next day. The glasses must be very big if you want to have an hangover from just two glasses. You guys are too high faluntin' fancy for me. I like good old Yeungling Traditional Lager. Nothing fancy, not outrageously expensive, a local PA brew. Thanks Habte! I'll ask my friend to get some Leffe since he's throwing a party saturday. Or else I'll just have to buy some myself. I am cheaper than you can ever know in regards to beer, but even with my inherent cheapness, I still manage to find great beers at Budwater and Coors prices. Lately I've been drinking Underworld for 2.25 a 24oz out the door, and its high gravity so its almost like drinking two for one. The last twelve packs we picked up were Pyramid's new Fall Variety (with a delightfully good and STRONG Barleywine) and also a Sam Adams Fall Seasonal, both were $12 out the door..
My rule, ALL good beer is good, so buy whatever is on sale, it gives you a chance to try new beers you otherwise might not have gambled on. We tried some Ballast Point when it was on sale once, that beer is usually way over-priced, but when we tried it, it was sublimely good. I've never been a drinker. In facr when I would go out with my friends I could nurse a can of beer ALL night, and be sick as a dog the next day. Do you know if the ale was actually brewed by a Kievan monastery? Couldn't say for sure, but that was how they advertised it. And they also said the then president of Ukraine would have a glass everyday. It was the darkest beer I ever saw and tasted heavenly. I've never been a drinker. In fact when I would go out with my friends I could nurse a can of beer ALL night, and be sick as a dog the next day. You can't get any more local than the kitchen! If you buy the grains and hops and brew the beer yourself, you can quite easily make beer that rivals some of the best craft beer found at the store for 1/2 or 1/3 of the cost. One can easily spend $4.50 on one 12 oz bottle of beer imported from Belgium that has been exposed to all kinds of detrimental conditions in transit. Or, you can brew a belgian beer yourself with the same yeast (Chimay, Westmalle, etc.) and spend $4.50 for a six pack, so 1/6 of the cost. A nicely crafted beer that might sell for $9 a six pack in the store can be made for $4.50 a six pack at home. You can't make Belgian beer in America. For it to be Belgian beer you have to brew it in Belgium. It's like champagne. You can't make champagne in America. It is interesting that the Western monastic order that is most famous for its brewing is the Trappist order, or the Order of Cistercians of the Strict Observance (OCSO), one of the strictest and most penitential of the Western orders. While Orthodox monasteries have been known more for their wine production and mead (in the case of Russia), I have very little information regarding the brewing of beer in Orthodox monasteries. A very nice all-rounder, it's what I normally drink here. I'd never order it in Belgium though, too many superior beers to chose from. 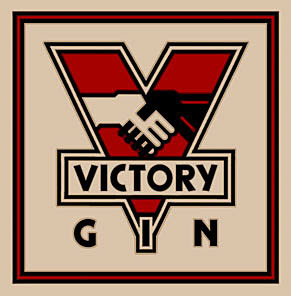 Reminds me of 1984 (Victory Gin was what they drank if I remember correctly). It's even got a similar red "V" logo. I agree! Im not questioning whether or not anyone actually enjoys these beers, but its almost a "peeing" match to see who can come up with the rarest, most obscure beer on the planet. Im not that picky. I love a good craft brew or "monk" beer, but I also have no shame in grabbing a sixer or coors light to watch football on a saturday. I have bought it. I'll try it, perhaps tonight. I think that I'll feel good knowing that the beer I drink supports the monks. Any beer paired with good conversation. Surely, with any, you don't mean any? I challenge you to say that after drinking a 6 pack of Milwaukee's Best! Barq's a is nonalcoholic soft drink. I was joking. lol well not "any." MB would ruin any conversation. I generally prefer IPA's of which i have a few favorites. 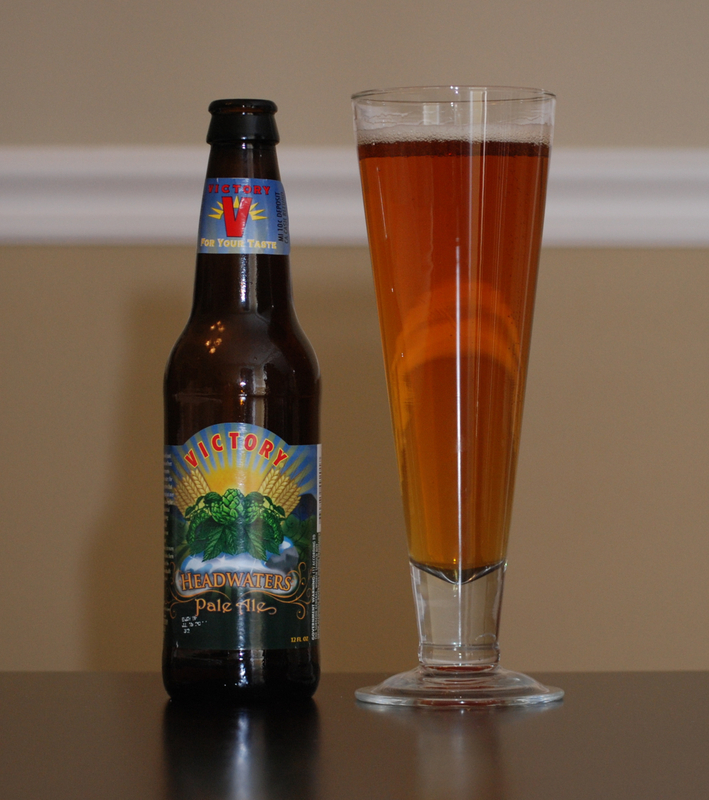 Bell's Two Hearted, Sierra Nevada's Torpedo are a couple I like. This is a local Atlanta brewery, but I think you can get it other places too. This particular beer is commonly referred to as a girl beer because its their "light" beer and has a sweeter blueberry flavor. However, the guy at the actual brewery told me that its really a breakfast beer. Boy is he right. If you ever have a chance to grab one of these with some french toast or something, it will blow your mind. And I dont normally like sweet beer, although this one is good because its not too overwhelming. Ok, actually some fruity beers I tried. I don't recall the name of the brewery. My favorite Sam Adams so far. A fine brew! How does it compare to Guinness? (the real stuff, not the watery crap you often get on tap). Ima try it, looking for a good Stout, have you had the Latitude 48 IPA from Sam Adams? It is indulgently good! A tasty brew that I stumbled upon this weekend. ^ My friend talks up Old Rasputin. I haven't had it yet. As for Stouts, I had a Baltika some time ago. It tasted almost better than Guinness. Had some last night or that FANTASTIC Bears-Texans slugfest last night. Alas, my love of super malted beers like IPA and Porters has ruined my previous love for a good Belgian.